The SantaLand Diaries The one man tour de force Ray Caspio plays Crumpet, Santa’s elfin sidekick at New York’s Macy’s department store, in this adaptation of David Sedaris’ tale. For mature elves only. The SantaLand Diaries Outcalt Theatre The one man tour de force Ray Caspio plays Crumpet, Santa’s elfin sidekick at New York’s Macy’s department store, in this adaptation of David Sedaris’ tale. For mature elves only. Flannel & Finery The team behind art and technology festival IngenuityFest host a holiday bash in the motorcycle and woodshop of the Hildebrandt, complete with live indie rock and hip-hop, a hooping performance, and a midnight showing of A Christmas Story. Flannel & Finery Hildebrandt Provisions Company The team behind art and technology festival IngenuityFest host a holiday bash in the motorcycle and woodshop of the Hildebrandt, complete with live indie rock and hip-hop, a hooping performance, and a midnight showing of A Christmas Story. Winter Cycling Expo ‘Tis the season for weaving through icy patches on your bike, and this bash is here to prepare you for the months to come. That even includes a fashion show for the most discernable of cyclists. Plus, brews from Brick and Barrel. 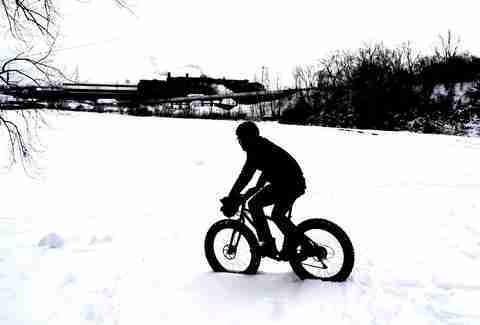 Winter Cycling Expo Ohio City Bicycle Co-Op ‘Tis the season for weaving through icy patches on your bike, and this bash is here to prepare you for the months to come. That even includes a fashion show for the most discernable of cyclists. 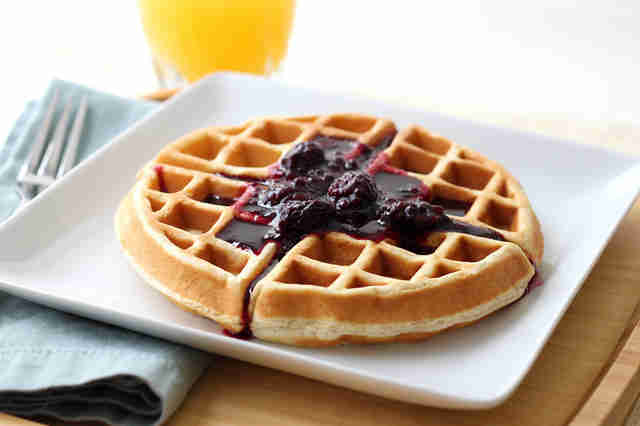 Plus, brews from Brick and Barrel. Annual Pinball Championship The Happy Dog has a pinball machine collection any wizard would envy. Put your skills to the test at this showdown. And if you lose, there’s still hot dogs with 52 toppings. Annual Pinball Championship The Happy Dog at the Euclid Tavern The Happy Dog has a pinball machine collection any wizard would envy. Put your skills to the test at this showdown. And if you lose, there’s still hot dogs with 52 toppings. Passing Fancy A live performance by pianist Jeff Rapsis accompanies this silent film at one of Cleveland’s best arthouse theaters. Passing Fancy Cleveland Cinematheque A live performance by pianist Jeff Rapsis accompanies this silent film at one of Cleveland’s best arthouse theaters. A Christmas Story Put on your bunny costume and hop over to a $1 showing of Cleveland’s favorite holiday movie. Then, if we may suggest, book your tour of the A Christmas Story house in our own lovely Tremont, which recently acquired Ralphie’s Red Ryder BB gun from the movie. A Christmas Story Cedar Lee Theater Put on your bunny costume and hop over to a $1 showing of Cleveland’s favorite holiday movie. 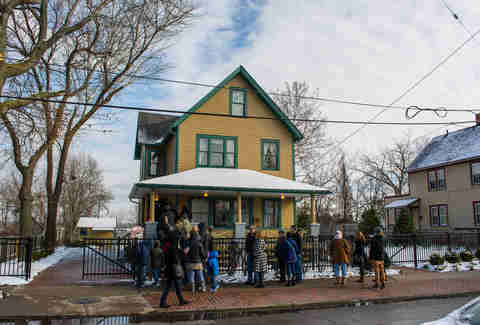 Then, if we may suggest, book your tour of the A Christmas Story house in our own lovely Tremont, which recently acquired Ralphie’s Red Ryder BB gun from the movie. 30th Anniversary of Clue An all-night celebration of the classic whodunit game, complete with signature drinks like the Miss Scarlet Cosmo and Professor Plum-tini. 30th Anniversary of Clue The Side Quest Bar An all-night celebration of the classic whodunit game, complete with signature drinks like the Miss Scarlet Cosmo and Professor Plum-tini. Rock N’ Roll Holiday Flea Market What do you get when you take one of Cleveland's most beloved music venues and bring in 30+ vendors? A blow-out sale for the vinyl aficionado in your life with vintage threads, housewares, and more. Rock N’ Roll Holiday Flea Market The Beachland Ballroom and Tavern What do you get when you take one of Cleveland's most beloved music venues and bring in 30+ vendors? A blow-out sale for the vinyl aficionado in your life with vintage threads, housewares, and more. Tinder Graveyard The Netflix and chill of art events. A one night stand of a show set up in the back room of retail shop and artist studio Canopy themed around online dating. Tinder Graveyard Canopy Collective The Netflix and chill of art events. A one night stand of a show set up in the back room of retail shop and artist studio Canopy themed around online dating. the Ohio City Singers It’s that time of year again when our favorite local musicians come together to become the Ohio City Singers, a rock and roll holiday tradition. the Ohio City Singers Vosh It’s that time of year again when our favorite local musicians come together to become the Ohio City Singers, a rock and roll holiday tradition. a Winter Solstice Pop-Up Dinner Cozy up by the fireplace light on the longest night of the year with this seasonal, family-style meal hidden away in South Chagrin Reservation hosted by The Agrarian Collection. The night includes a presentation by TOLD, the interactive storytelling event most often seen at Market Garden Brewery. a Winter Solstice Pop-Up Dinner Look About Lodge Cozy up by the fireplace light on the longest night of the year with this seasonal, family-style meal hidden away in South Chagrin Reservation hosted by The Agrarian Collection. The night includes a presentation by TOLD, the interactive storytelling event most often seen at Market Garden Brewery. 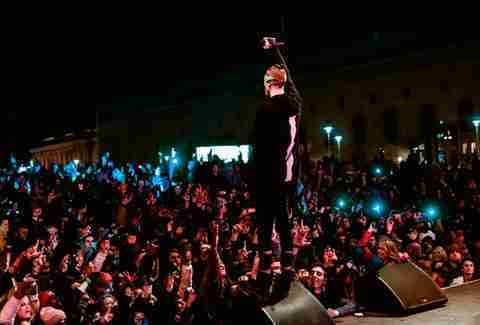 CLE Rocks NYE Join Ruby Rose, Drew Carey, and thousands of Clevelanders to count down to the New Year. Sister team Duelle, Malcupnext, and not-to-be-missed retro soul performers Wesley Bright and the Hi-Lites provide musical entertainment. CLE Rocks NYE Cleveland Public Auditorium Join Ruby Rose, Drew Carey, and thousands of Clevelanders to count down to the New Year. Sister team Duelle, Malcupnext, and not-to-be-missed retro soul performers Wesley Bright and the Hi-Lites provide musical entertainment. New Year’s Eve Deco + Dance It’s a Baz Luhrmann-themed night of enchantment, which means it’s time to get in the mood of Romeo and Juliet, Moulin Rouge!, and The Great Gatsby. DJ Himiko Gogo & DJ Road Chief spin along with a video installation by VJ Wes Johansen. New Year’s Eve Deco + Dance Mahall’s 20 Lanes It’s a Baz Luhrmann-themed night of enchantment, which means it’s time to get in the mood of Romeo and Juliet, Moulin Rouge!, and The Great Gatsby. DJ Himiko Gogo & DJ Road Chief spin along with a video installation by VJ Wes Johansen. Sanctuary Cleveland Sanctuary returns to its home base of Touch Supper Club following the venue’s year of renovations for its usual finely tuned night of hip-hop, soul, house, afrobeat, broken beat, and dancehall. Sanctuary Cleveland Touch Supper Club Sanctuary returns to its home base of Touch Supper Club following the venue’s year of renovations for its usual finely tuned night of hip-hop, soul, house, afrobeat, broken beat, and dancehall. Jam Out at Grog Shop Annual Free Weekend Every year the Grog Shop reels in some of our favorite local bands for a full weekend of customer appreciation. And in between sets, make your way downstairs to B Side Liquor Lounge and Arcade for DJs, pinball and Pac-Man. 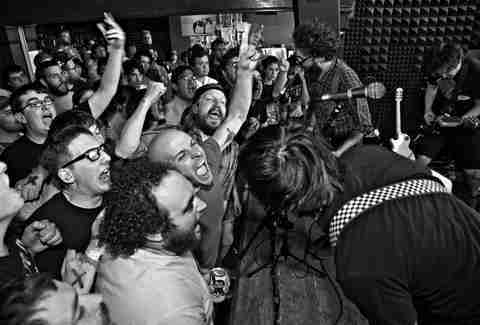 Jam Out at Grog Shop Annual Free Weekend The Grog Shop Every year the Grog Shop reels in some of our favorite local bands for a full weekend of customer appreciation. And in between sets, make your way downstairs to B Side Liquor Lounge and Arcade for DJs, pinball and Pac-Man. Winteriffic There’s plenty of winter activities, as the name may suggest, but it’s also a great excuse to ride down the Chalet Toboggan Chutes, Ohio’s only public ice chutes. Winteriffic Mill Street Run Reservation There’s plenty of winter activities, as the name may suggest, but it’s also a great excuse to ride down the Chalet Toboggan Chutes, Ohio’s only public ice chutes. Fandom216 Tailgate Party opening Commiserate over our triumphs and our miseries together at this art show, a collaboration with Waterloo Arts, Zygote Press, and HEDGE Gallery. The perfect gift? Why is Daddy Sad on Sundays? -- a coloring book depicting the most disappointing moments in Cleveland sports. Fandom216 Tailgate Party opening Waterloo Arts Commiserate over our triumphs and our miseries together at this art show, a collaboration with Waterloo Arts, Zygote Press, and HEDGE Gallery. The perfect gift? Why is Daddy Sad on Sundays? -- a coloring book depicting the most disappointing moments in Cleveland sports. 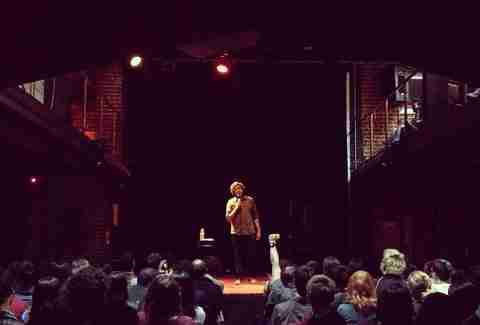 An Evening With Hari Kondabalu Local indie promoters Accidental Comedy Club bring the Totally Biased writer whose been seen on Conan to Cleveland for a night of stand-up featuring local acts Yusuf Ali, Zachariah Durr, and Ramon Rivas II. An Evening With Hari Kondabalu The Grog Shop Local indie promoters Accidental Comedy Club bring the Totally Biased writer whose been seen on Conan to Cleveland for a night of stand-up featuring local acts Yusuf Ali, Zachariah Durr, and Ramon Rivas II. 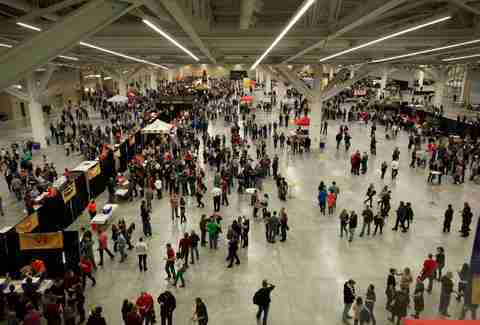 Third Annual Cleveland Winter Beerfest Sample craft brews from across the country along with plenty of locals, including Cleveland’s Buckeye Brewing Company, Granite City, Main Street Grille and Brewin Co., The Brew Kettle, and, of course, Great Lakes. Third Annual Cleveland Winter Beerfest The Cleveland Convention Center Sample craft brews from across the country along with plenty of locals, including Cleveland’s Buckeye Brewing Company, Granite City, Main Street Grille and Brewin Co., The Brew Kettle, and, of course, Great Lakes. Cleveland Tattoo Arts Convention Show your appreciation for all things body art with special appearances by contestants of Ink Master and Best Ink. Cleveland Tattoo Arts Convention The Cleveland Convention Center Show your appreciation for all things body art with special appearances by contestants of Ink Master and Best Ink. The Movement Project Season Premiere One of Cleveland’s premiere modern dance companies led by two young sisters -- they’ve performed to the tune of everything from Jimi Hendrix to experimental sounds -- kicks off their season. The multitalented Marcia Custer (you’ve seen her in Theater Ninjas and Cleveland Public Theatre plays along with her own music groups Space Beach and Half an Animal) steps in as choreographer. The Movement Project Season Premiere Pilgrim Congregational Church One of Cleveland’s premiere modern dance companies led by two young sisters -- they’ve performed to the tune of everything from Jimi Hendrix to experimental sounds -- kicks off their season. The multitalented Marcia Custer (you’ve seen her in Theater Ninjas and Cleveland Public Theatre plays along with her own music groups Space Beach and Half an Animal) steps in as choreographer. United We Brunch Enjoy the happiest hangover day of the week with breakfast served by some of our favorite local restaurants. United We Brunch Galleria at Erieview Enjoy the happiest hangover day of the week with breakfast served by some of our favorite local restaurants. 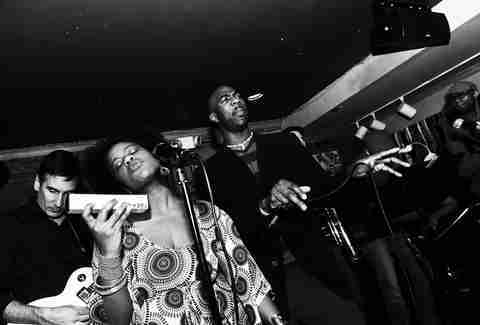 Detroit '67 Cleveland’s love for soul music is indulged with this tale of Detroit in the age of Motown. Follow the story of two siblings who transform their basement into an underground club. Detroit '67 Karamu House Cleveland’s love for soul music is indulged with this tale of Detroit in the age of Motown. Follow the story of two siblings who transform their basement into an underground club. Cleveland Kurentovanje 2016 Cleveland, Ohio is home of the largest population of Slovenians living outside of Slovenia, so it only makes sense to bring Slovia’s authentic carnival celebration of costumes, a parade, ethnic food, and drink and fuzzy Kurents to the St. Clair-Superior neighborhood. 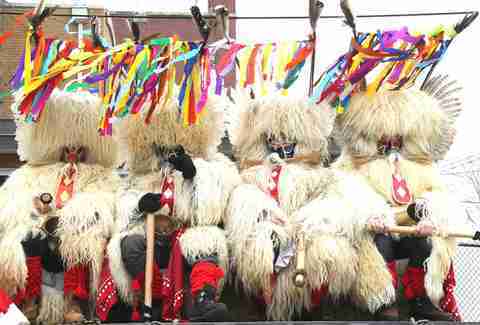 East 64th St. & St. Clair Ave.
Cleveland Kurentovanje 2016 East 64th St. & St. Clair Ave. Cleveland, Ohio is home of the largest population of Slovenians living outside of Slovenia, so it only makes sense to bring Slovia’s authentic carnival celebration of costumes, a parade, ethnic food, and drink and fuzzy Kurents to the St. Clair-Superior neighborhood. CIFF’s Get Shorty One of the most beloved events leading up to the film festival, Get Shorty is an opportunity to screen a selection of shorts and then vote on who gets a guaranteed spot in the festival. CIFF’s Get Shorty The Breen Center for the Performing Arts One of the most beloved events leading up to the film festival, Get Shorty is an opportunity to screen a selection of shorts and then vote on who gets a guaranteed spot in the festival. Cupid’s Undie Run Strip down to your skivvies and run the streets of Cleveland! Cupid’s Undie Run House of Blues Cleveland Strip down to your skivvies and run the streets of Cleveland! Brite Winter Fest A festival founded on showing the world that nothing keeps Cleveland indoors -- even in the thick of the winter -- has grown in epic proportions. This year, it returns to its original home in the Flats, bringing its live music and lights to the thousands once again. 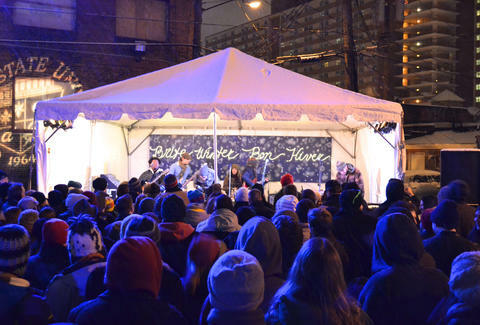 Brite Winter Fest Flats West Bank A festival founded on showing the world that nothing keeps Cleveland indoors -- even in the thick of the winter -- has grown in epic proportions. This year, it returns to its original home in the Flats, bringing its live music and lights to the thousands once again. An Evening with Dr. Neil deGrasse Tyson The man, the myth, the legend dropping science bombs. An Evening with Dr. Neil deGrasse Tyson State Theatre The man, the myth, the legend dropping science bombs. Wizard World Comic Con Suit up into your best cosplay and descend on this gathering of special guest stars and row after row of vendors peddling everything from comics, toys, graphic novels, and collectibles. 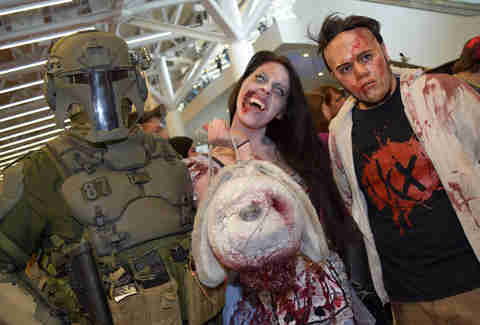 Wizard World Comic Con The Cleveland Convention Center Suit up into your best cosplay and descend on this gathering of special guest stars and row after row of vendors peddling everything from comics, toys, graphic novels, and collectibles. Cooking with Whiskey You had us at Tom’s Foolery, Cleveland’s small batch whiskey. Using Tom’s bourbon, rye whiskey, and applejack, learn your way around the kitchen making phyllo wrapped shrimp and pork tenderloin sliders. Or just keep drinking. Cheers! Cooking with Whiskey Western Reserve School of Cooking You had us at Tom’s Foolery, Cleveland’s small batch whiskey. Using Tom’s bourbon, rye whiskey, and applejack, learn your way around the kitchen making phyllo wrapped shrimp and pork tenderloin sliders. Or just keep drinking. Cheers!